The Solicitors Regulation Authority (SRA) should do more to combat a “quite alarming” lack of understanding of equality laws, the Conservative chair of the House of Commons women and equalities select committee has said. 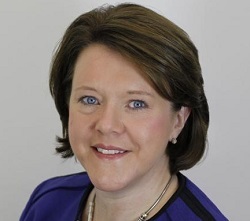 Maria Miller said the #MeToo campaign had highlighted how people’s “absolute ignorance of the law” led them to being coerced into signing severance agreements that included non-disclosure agreements (NDAs) “to stop people speaking out against wrongdoing”. During a Commons debate on public legal education, Ms Miller said the Solicitor General – Robert Buckland, who took part in the debate – may know that gagging clauses were “completely unenforceable”, but the “average person” did not. “I could draw on many other areas in equality law, where the lack of understanding is hampering the original intention of the law. Hate crime, disability discrimination, maternity discrimination… and tackling sexual harassment—the list goes on. Ms Miller said this was where the Solicitor General’s programme of public legal education came in. Ms Miller referred to evidence given by Paul Philip, chief executive of the SRA, to a select committee hearing on NDAs. Nick Thomas-Symonds, Labour MP for Torfaen, called on the government, at the same time as improving public legal education, to “put legal aid back to where it was meant to be when it was introduced in 1949 as the fourth pillar of the welfare state”. He said he was particularly concerned by “people in a very vulnerable position” not having access to legal aid. He said that in 2012-13, 83,000 obtained advice on their benefits through legal aid, but by 2016-17 this figure had fallen to only 440. The debate was opened by Ranil Jayawardena, Conservative MP for North East Hampshire. He said improved public legal education would improve the legal system by ensuring “better educated and engaged” jurors and confident witnesses, aware of the importance of their testimony. “It would improve our legal system by bringing about the wider participation, and therefore better representation, of communities, as a result of citizens acting as magistrates, for example. Mr Buckland said public legal education was not just “motherhood and apple pie”, and was given statutory underpinning by the Legal Services Act. He said Ms Miller had made “some important points” about access to legal education in the workplace, particularly for women who had no knowledge of their rights. “That is why the regulatory objective in the 2007 Act is important. More has to be done to deal with the question of empowerment of our citizens via the regulatory bodies. He added that public legal education was not “some substitute or easy fix” for legal aid eligibility, but a “much more long-term approach”, which focussed naturally on children and young people and was designed above all to “give people the knowledge and the wherewithal to avoid the pitfalls of litigation and court proceedings in the first place”.